Filippo Alongi, MD, head of Radiation Oncology at Sacro Cuore Don Calabria Cancer Care Center in Negrar-Verona and Associate Professor of University of Brescia in Negrar-Verona presented his first experiences with Brainlab Elements Spine SRS during a Brainab symposium in Agropoli, Italy, on July 13, 2018. In the four months since installation, nine patients have been treated successfully. Planning radiosurgery for such complex areas of the body usually requires significant experience and time. 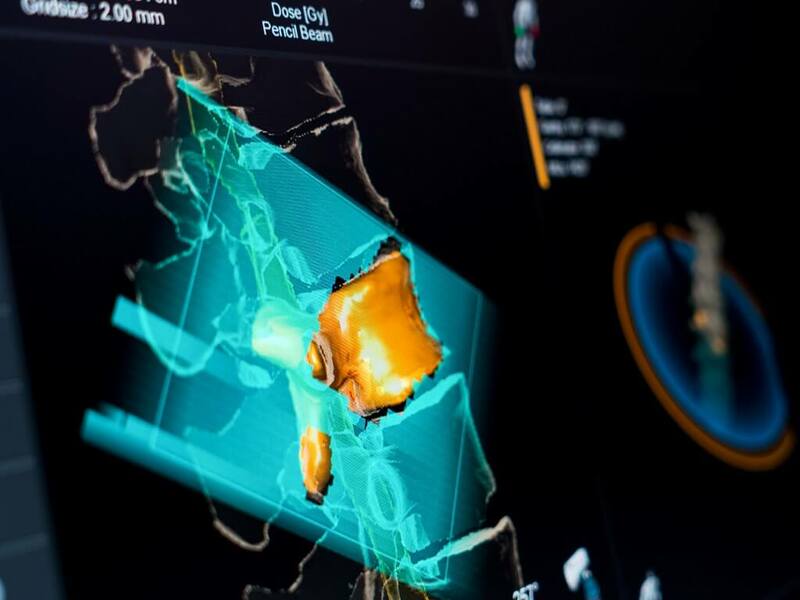 Elements Spine SRS, however, offers automatic planning with indication-specific outlining tools to create treatments in-line with International Spine Consortium Guidelines. Prof. Alongi will be presenting his latest results at the 8th International Conference of the Novalis Circle taking place in September in Munich. For more information about Elements Spine SRS click here. Novalis Circle is a worldwide network of clinicians dedicated to the advancement of radiosurgery. Novalis Radiosurgery users represent the leading edge in the application of Stereotactic Radiosurgery (SRS) and Stereotactic Body Radiation Therapy (SBRT) and their participation in the Novalis Circle community indicates their strong commitment to improving healthcare. Novalis Circle provides a communication and collaboration network for developing new ideas and optimizing treatments that will continue to change the face of cancer treatment.